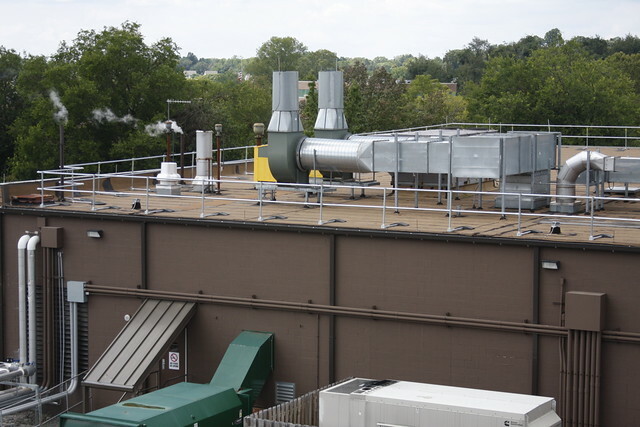 We recently had the opportunity to visit the site of one of our recent roof railing customers in PA. 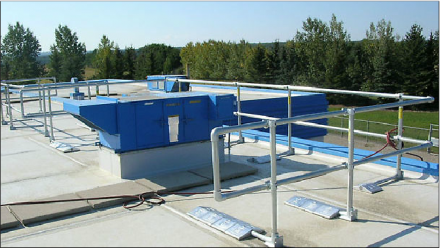 The scope of the project was full roof perimeter protection on two buildings. 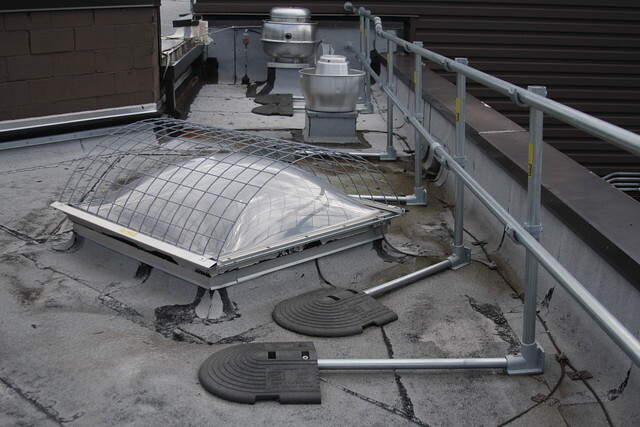 Their rooftop fall protection included roof railing, skylight screens, and safety gates for ladder access points onto the roof. 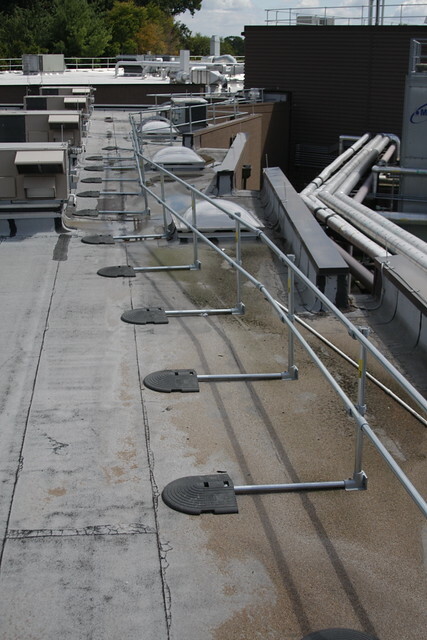 Bending shows the versatility of the the KeeGuard Roof Railing System. 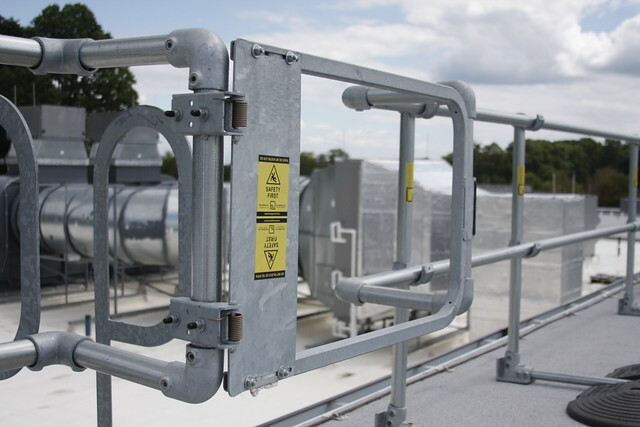 Self-closing safety gates protect ladder access points. A vantage point to see the full roof perimeter protection. 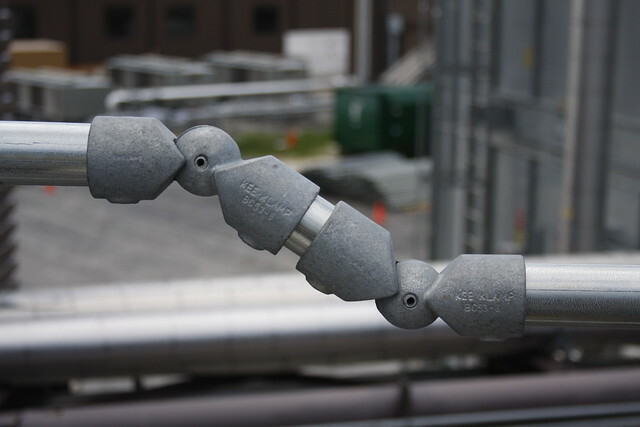 Special fittings allow the system to change elevation and remain contiguous. Skylight screens were part of the installation when skylights were inside the roof railing barrier. 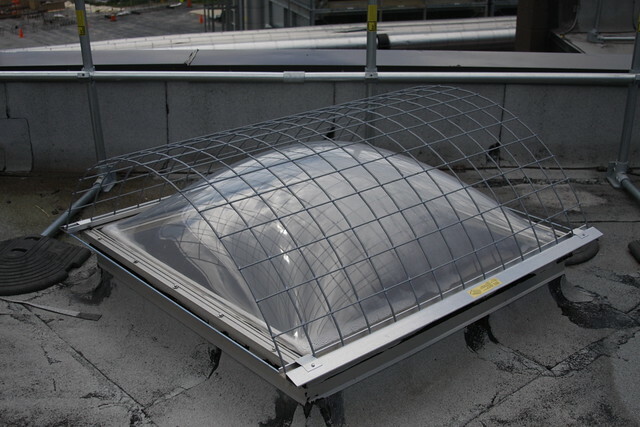 Roof obstacles are not a problem with KeeGuard. 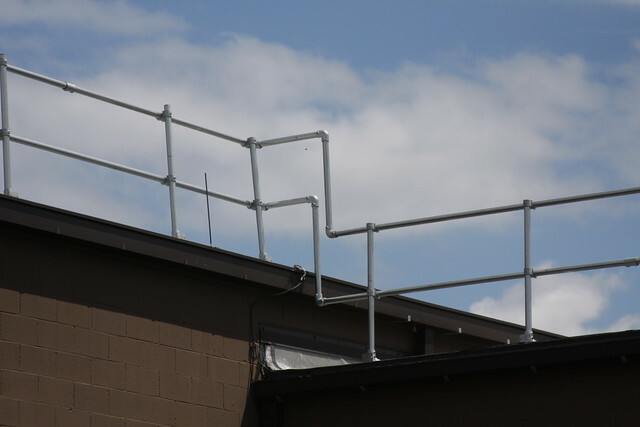 The railing can be easily customized to go around existing roof structures. Here the railing goes around the skylights. 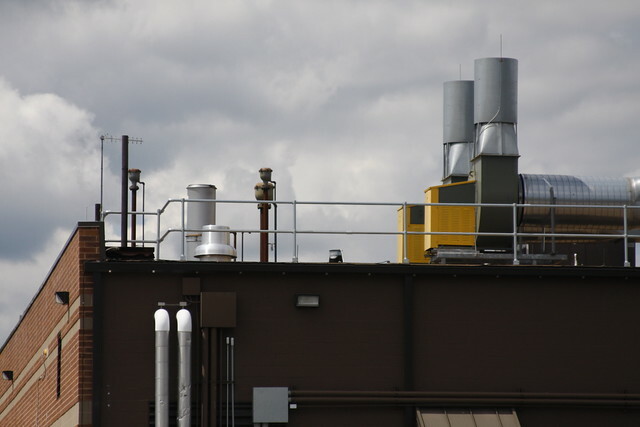 Rooftops of different heights can be easily connected with contiguous protection. 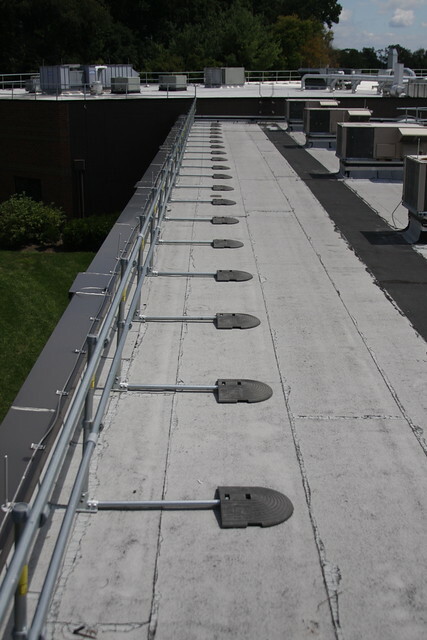 Contiguous full length rooftop edge fall protection. 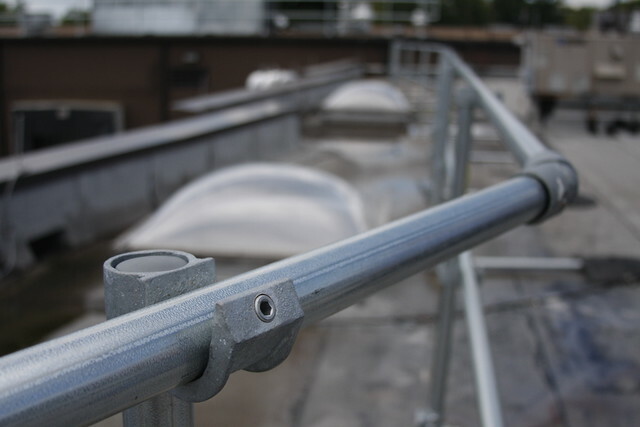 Call our sales engineers or contact us through our site to get in-depth information on our products designed to help protect people working on roofs.